Each server has its own anti spam policies so it’s impossible to build an email system with 100% deliverability rate. 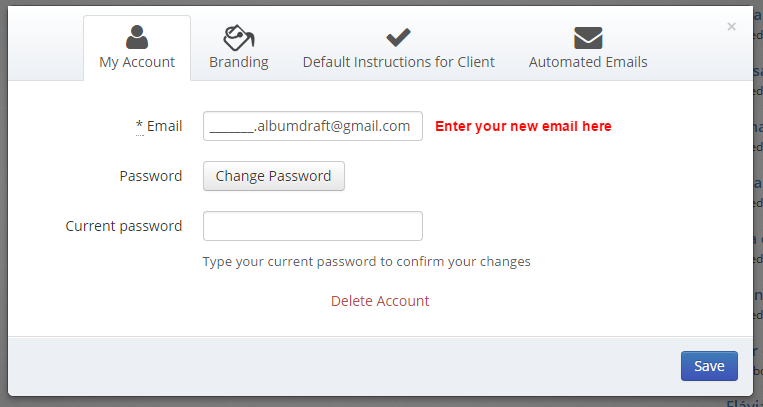 If by any case you’re not receiving emails from Albumdraft, it means that your current email server antispam policy is preventing emails sent from our servers to reach your inbox. To make sure you don’t miss any emails from now on, we recommend you to create a Gmail account and use it as your Albumdraft main email. 1) Gmail is a really good email provider and you’ll increase your chances of receiving all important notifications from our system, such as when your client approves an album or when you receive comments. Even though using Gmail may solve your problem of not receiving our emails, we cannot guarantee with a 100% certainty that all emails will be delivered, as antispam rules changes almost every day. The best thing you can do is to frequently visit your Albumdraft account (everyday) to see the status of your albums.